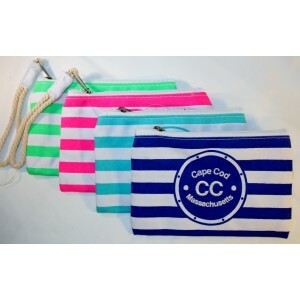 Canvas wristlet with Cape Cod embroidered on one side, rope strap. Available in Royal Blue, Aqua, Pink and Green. 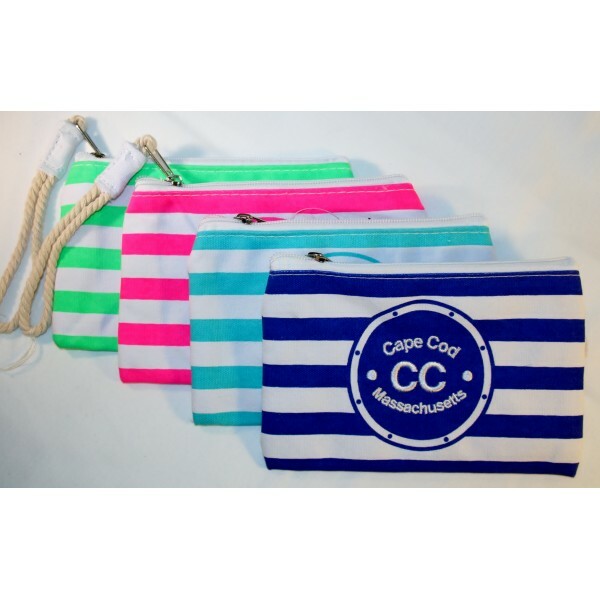 This fun canvas wristlet is the perfect accesosory for the beach- store your phone wallet etc. Can also be used as a little clutch purse. A uselful momento from Cape Cod.